It looks straight out of science fiction, but this terrifying contraption is actually one very modern string instrument. 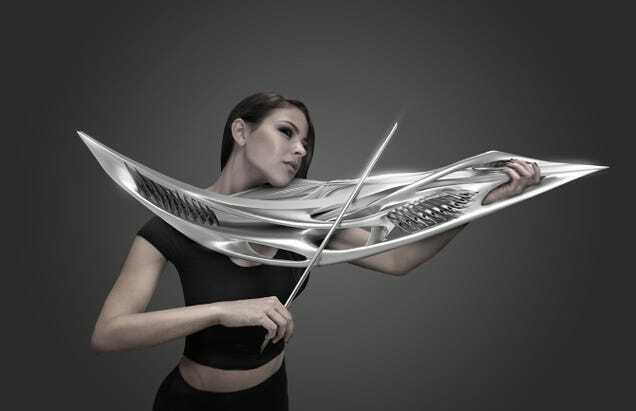 The “Piezoelectric Violin,” brainchild of architects at Miami’s MONAD Studio, has got only two strings, and it’s 3D printed, but according to the designers, it still plays and sounds like its ancestral instrument. Images via MONAD Studio / Eric Goldemberg / Veronica Zalcberg / Scott F. Hall.